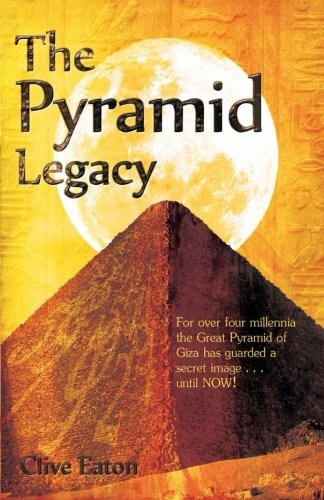 about this book: The Pyramid Legacy was written without a single genre in mind. It's a thriller. The central plot is based around a mysterious discovery. It's set in the near future, so there are some sci-fi aspects to it. You'll also find action, suspense and romance deeply woven into its pages. One reader, who gave it a 5 star review on Amazon, went as far as saying "A really impressive debut that follows a number of genre trappings, but eschews others and treads a new path." How could I put it better than that? When giving the book a title I considered two things - 1) I wanted a title which would clearly give some indication to the content. It is the first opportunity, once a potential reader has seen the cover, of creating some idea of the story in their mind. 2) I wanted to improve the chances of it cropping up randomly in search engine results. As a debut novelist I didn't have a recognised name. The likes of Dan Brown, JK Rowling etc can give books relatively random titles because people will buy based upon their reputation. The word 'Pyramid' crops up time and time again on the Internet - so I've titled the sequel 'Operation Stonehenge'. Most people have heard of the famous collection of stones in rural Wiltshire. But before I get accused of using titles which have nothing to do with the content, I can assure you that both The Great Pyramid of Giza and Stonehenge are central to each respective book. In fact, the second book highlights a significant link between these two ancient monuments. Interested to find out more? Then watch this space.